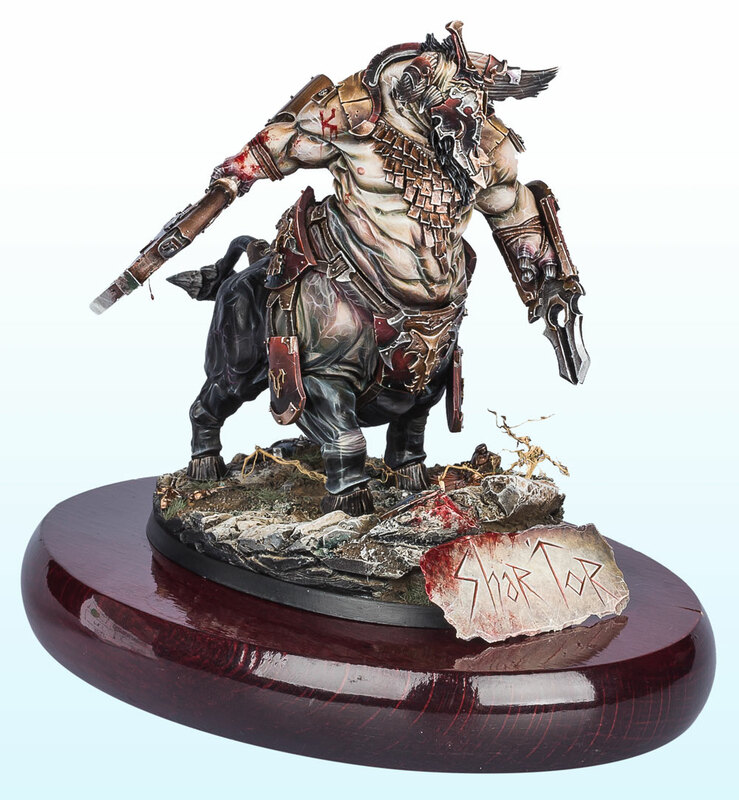 All of the winners from the 2017 Golden Demon Classic are now up on the Official Golden Demon site, so of course I had to go take a look. This model immediately stood out to me for a few reasons. 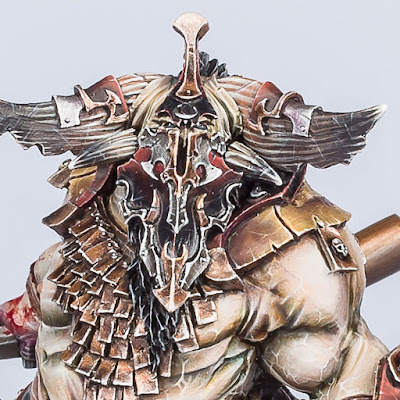 First off, it's, in my opinion, an amazing sculpt and not a model we see used very often. Shar Tor is for the Chaos Duardin, which is a fairly niche army to begin with, but he's also a special character, so get's used very infrequently. I also think this is the first time we've seen this model painted to this high of a standard besides the studio one from Forge World. The painting standard on this is pretty insane, which is probably why it won an award at the Golden Demons. Everything is super smooth and crisp, from the metallics, to the horns, to the armor. What stands out the most to me though is the skin. He really did a good job at making the skin feel slightly translucent like real skin. The colors used to shade it really add a lifelike feel to it, and where it blends into the darker skin of the lower half is even better. It looks like a completely believable blend. When you zoom in you can see all of the veins he has picked out on the skin, giving it an almost hyper detailed, HD look to it. This is nicely complimented by all of the tiny micro scratches painted onto all of the other surfaces. All in all, this is a super nice rendition of this model, and I'm glad someone with this talent decided to tackle such a cool and overlooked model. Be sure to check out more views of the model on the Official Golden Demon website.